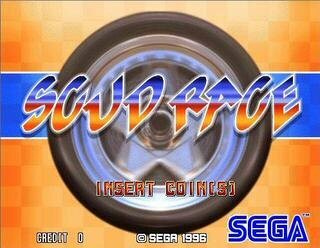 Musings of a Sega Racing Fan: Group Think In Video Games? Hello everybody, I've been busy with school lately (as usual). I've been tired but my Super Sprint game is coming along nicely and the only time I have to "think" about blogging is before I go to bed so here goes. I've been thinking about this for a while. It's about video games. I notice that when it comes to gaming (particularly multiplayer), a few games get the most attention of all. And I can think of a few....oh, Call of Duty? Halo? Battlefield? World of Warcraft? Starcraft? Etc. That's not to say these games are bad but let's think about this for a second. People nowadays are madly social. It's why we have Facebook, Xbox Live, and all these rave clubs where people get drunk and rub up on girls/guys they want to date. So you're some cool dude and a couple of your friends are playing games. A few are playing Call of Duty. So which game are you going to play? Something else and get thrown out of the loop? No, you're going to play Call of Duty, even if you don't like it as much. And this also applies to single-player experiences too....don't play Zelda or Skyrim? Eh...there's no help for you. What seems to be happening is that a lot of people want to play the same exact games. Sure, there are some games that are actually good, but the idea that SO MANY PEOPLE love the hell out of the same games? There's something going on here. Like it's easier to hop into a game hugely supported by some community than one that doesn't. So there's not much "trailblazing" going on, is there? As they say, "the rich video games get richer." OMG THE TOP 1% OF GAMES OWN 99% OF THE PLAYERS!!! Well, I'm not going to turn this into an "Occupy Activision/Electronic Arts/Microsoft/Sony" tirade cause frankly, I'm sick and tired of this "meme" (it's the 'cool' thing to talk about, just admit it...sticking it to The Man) and I'm not going to let a few rich folks put me down from making video games, sorry. And back on video games, I'm not a "social" guy. Which is perhaps why I'm not into Facebook, MMO's, or anything really popular. It's why I sit here on this stupid blog and post about games that few people are aware about. And that's okay cause I'm doing what I love. After about a month or two of playing, I noticed that the number of XBL players began to dwindle. It was to the point where I had to wait a minute or two in the lobby just to play a 1 vs. 1 against some randoms (not to brag but most of whom I handily beat). On the other hand, you had Call of Duty: Modern Warfare 2/Black Ops which had over 100,000 players. If I liked both games equally, which one do you think I'd prefer? CoD, because it's much easier to jump into games against randoms, friends, you name it. I'm still disappointed by this. Perfect Dark literally was manna from heaven but no one's buying. Instead they asked for meat. Well, they got meat...though we all don't know how long until they tire of it. Yes, this is a story from the Bible, in case you didn't know already. 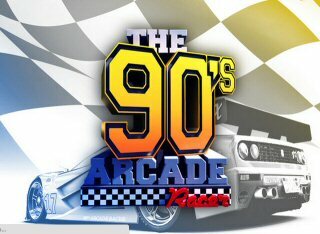 I just wonder how long until Daytona USA succumbs to the same fate. Now we have Forza 4 out which IMO isn't bad though I haven't bought it yet (Christmas present, maybe?). But that game has a much more robust community. So what's one to do--ostracize one's self from society playing a crusty old game or to join the crowd? Hell, I remember playing the very recent Sega & Sonic All-Stars Racing game (my comments here) but the number of players dropped to zero so...off to Forza 3 I went!!! Speaking of which, I just checked out Major Nelson's XBL charts and in the week of Oct. 24, Daytona USA was the second most purchased XBLA game. Within in a month, it's drofpped off the Top 25. 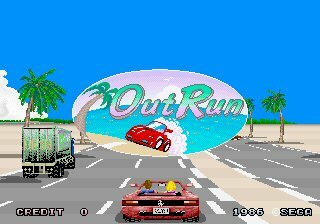 Although for some strange reason, Crazy Taxi, OutRun, and Sega Rally were back on radar for that week as well. 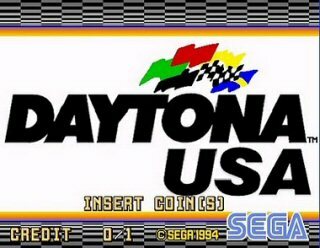 EDIT: Turns out Sega racers are on sale for a limited time (except Daytona, of course) so go buy them all now. No signs of Perfect Dark or anything else I really like. It's also disappointing that Daytona USA has a 3.8 of 5 rating on Xbox Live, I mean, what's up with the inconsistency here??? The way I see things, all things go through cycles. What was cool yesterday really isn't cool today. So if the goal in life is to enjoy popular things and then dispose of them, what's the point? Why can you like something for being great? 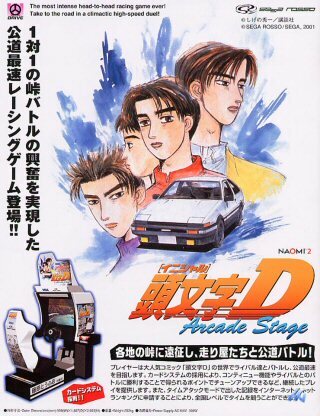 I still draw strange looks from people who don't "get" my obsession with racing games and the Sega Racing posters I have up in my cubicle. I don't know man. I know the games I talk about aren't bad and yes, many people like them for that reason, but how many people like them for the fanbase??? All I have to say is this. Don't abandon popular games altogether, but give some other games a shot if you haven't already. 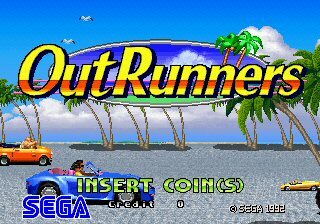 Like give OutRun Online Arcade a try. It's only 400 MSP and it goes off the marketplace at the end of the year. Just worth it...who knows, you may become addicted to it as well. 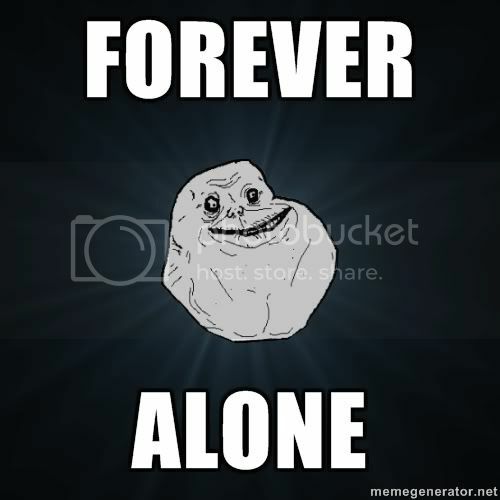 Oh, and one more thing. I was thinking about game design, as usual. The question as a game designer is how much content should one put in one's game? Think about this. If you release a Call of Duty game with 50 guns and 30 MP maps, it would probably sell the same as a Call of Duty game with 25 guns and 15 maps. So why go back and improve the game? Improving the game requires time and money, two things game studios usually don't want to give up. In the end, the cost outweighs the extra sales. It's why they stopped releasing extra content for Black Ops...so people will buy MW3, then the next CoD, and then whatever's is in style at the time. And it's not just an "evil Call of Duty" thing. I mean, if I were part of the dev team working on Perfect Dark, I'd love to go back to the game and polish a few things in a month's time for little or no time. It's not like this was some grandiose release game that needed a hype machine to get by--some sites like Gamasutra popped the news and then the game was release. No "marketing campaigns" to work around. But that didn't happen Why? Because it has no impact on game sales. I wonder if this is something that's holding back Sega. 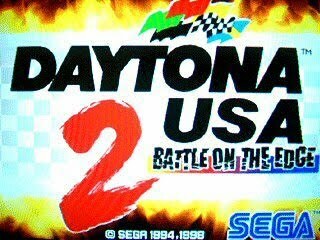 They say, "Well, we put out Daytona USA, OutRun, and Sega Rally ports, so no more racing games..."??? 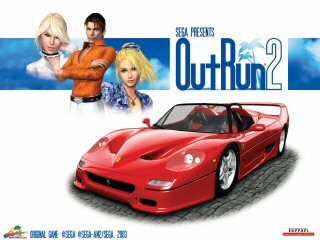 And how about other racing games like Forza or Need for Speed? What's the point of trying to compete with those when those are the only two racers you really need? Need for Speed, HA! Like if you go to a restaurant and you wanted a Barq's Root Beer and all they had was Coke, you accept defeat and take the Coke. Come on, go the extra distance. Money is temporary, but glory is forever. So go for the glory of great games, not great profits. 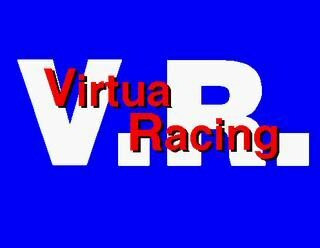 Make the great racing games. Sega, make Shenmue 3 NOW. That's just my two nickels' worth. Most of the group members chosen those games which easily support to co-up mood. I love to play most of the action and fighting games as co-up players. Even i have also played Forza 3 with my colleague as challenge. 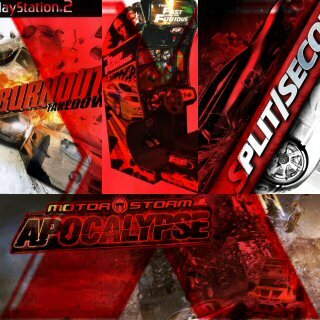 That's why I like to play WRC2 and with Daytona USA at my side I have no reason what so ever to play Forza or N4Speed's. Because times have changed the games that really interest me I call the Grade B titles. I find Grade B titles are more fun than the mass marketed Grade A titles. In short I get value for money because I will play the game for a lot longer because I class it as a GAME, where as Grade A titles are dropped by the masses a week or so later as they move on to the next. Even I have dropped Grade A titles with-in a week or so lol. Most people are lookers, they just look at the game and not play them properly. 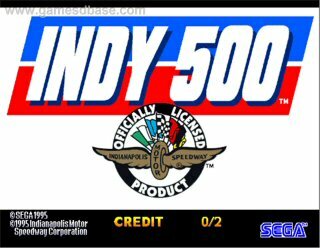 Achievements do not even take you to the limits now days and I mean Daytona USA had some real crap ones - tho I am still playing it make no mistakes!!! You could argue all day about such a topic haha! 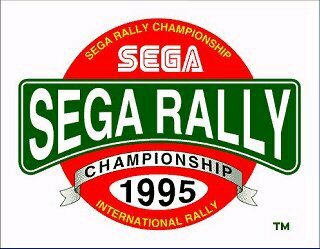 Responding to F40's message, I always refer to those as "so-called AAA titles". Getting past the production value and hype, if I've been playing for a half hour and don't feel that refusal to put down the controller, it's not going to maintain my interest for much longer, and those are THE most prone to it. And here Eric touches on another thing that's been bothering me: the single player experience being overshadowed by the demand of supply of "if it's not online I'm not playing it". I hardly see anyone online with Daytona now, and those that are either stick with the beginner course, or do nothing but push you into the walls. It's more irritating than it is fun, which is why I avoided online in the first place. And one of my roommates found out the hard way BF3 wasn't what he thought. Disappointed in the length of the single-player campaign but not interested in playing others online. I think N+ and Mario Bros Wii did its multiplayer perfectly. Although both are co-op titles, playing single player or with friends is fun either way, instead of one or the other. Then some others, like Metroid Prime 2 and Sin & Punishment 2, single player games, tried to implement multiplayer but it felt more contrived than anything. I remember something like this being my issue with the Kinect when it was first announced. One of my buddies wanted me to get it, but considering it was marketed as more of a social networking device than a game peripheral ("You can watch Netflix and Facebook with your friends!" That is so awesome, considering I have NEITHER of them, Microsoft), I'm not gonna spend $150 on something I'm not going to use to enhance my GAMING experience. It reminds me of the PS2 hype before it came out. A lot of people gave me crap for preferring a Dreamcast, and their reasons for believing the PS2 was better? They didn't mention a SINGLE game. Instead: It can play DVDs. Every single person, that was the reason. Not exaggerating. But in this last decade of gaming we've seen a shift that's anything but gaming. Emphasis and reliance on story and cinematics, simulation and realism, and gaming used as another tool of social networking. I remember saying long ago that it's less "video games" but more of "interactive entertainment". Coincidentally, looking up "video games" on Wikipedia, somewhat confirmed that. My parents are former NES addicts, and they still play games (now Solitaire, Bejeweled) for the same reason I do. That's our escape from reality. We could do what everyone else was doing, but when I was growing up, it meant becoming someone else's tool of entertainment to be used and thrown away, acceptance, popularity and other things that don't mean a damn once you graduate from high school, and at the cost of your dignity and health. I'd prefer to be alone than to surround myself with people with questionable motives, and for reasons that make me feel like a tool. 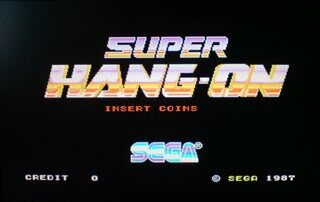 I'll stick with Panzer Dragoon and Shenmue showing me that there's more to enjoy in life than some contrived teen sitcom that people can't distinguish reality from fiction. And politics and news. And here we are, with games that don't feel like games, or feel like that escape from everyday crappy life. It just drags me right back in. 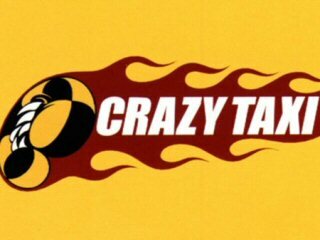 It's a messed up world when you're playing Crazy Taxi or Daytona, someone tells you stuff like that can't be done in real life, then they go off and play Mass Effect minutes later.